La Vergne has been with the Group since it’s inception in August 2014. Recently appointed as the Executive Officer, she brings a wealth of regional experience and knowledge both in the waste and resource recovery sector, and in tourism and education as well. Keith joined the Group in 2017. He is an experienced manager with extensive land use planning, community development, water management, regional development and natural resource management expertise. Lauren was appointed in 2017, and comes to the Group from the City of Ballarat. She has a wealth of experience in the waste industry and is working with our Councils and Industry. Stuart has broad experience in contaminated land remediation and landfill issues. Prior to working the environmental field, he worked as a geologist on the West coast of Tasmania. He has also undertaken a Masters degree in Geospatial Technology. Paul is our ResourceSmart Schools Coordinator. He works across our entire region with our schools, and also with community groups and Councils. 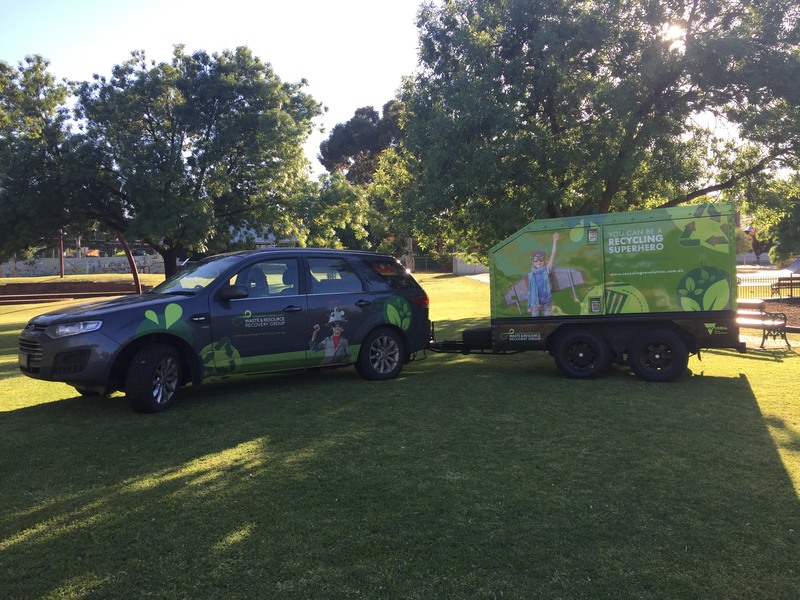 He also coordinates the use of our Little Green Wagon at a variety of both school-based and community-based events, and runs a variety of workshops across the region. Elanor has been with the Group since 2015. She has extensive experience in education, health and industry, and has been a keen learner in the waste and resource recycling arena. Lou works with our Schools and on a variety of engagement projects for us. She works 2-days a week, (Thursdays and Fridays). She also looks after Boomerang Bags in Bacchus Marsh and has a very keen interest in Op Shops. Quirky Facts – How well do you know us? Can you match the staff member to the quirky fact?? Captain Compost and Worm Farm Guru, General Know-it-all and Master of Nothing. Amateur Radio callsign VK3FPDA and Radio Controlled flyer of sailplanes and Master Balsawood Constructor of Scale Aircraft…. Also known as Office Cat, in her spare time, she enjoys training her 8-legged armies in preparation for her takeover of the world….. The sole mad Holden enthusiast of us, he doesn’t shy away from his love of motorbikes either…. Formerly a talented chef, we have not yet been able to convince her to cater for all of our meetings…. the knowledge that you have guessed correctly and are therefore as quirky as we are!